Enjoy the rewards of working in healthcare by becoming a Certified Nursing Assistant. CNA classes provide one of the fastest ways to kick-start a career in health. You’ll acquire the knowledge and skills to function as an effective frontline professional, working directly with patients who are ill, disabled, or injured. As a CNA, you’ll work primarily with the senior members of the population, as they are most in need of long-term care. As a prospective nursing assistant, you must have the educational preparation. State laws require at least 90 hours of comprehensive training that includes theory and practical instruction in basic nursing skills, patient rights and independence, laws governing practice, and the role and responsibility of the nurse aide. The training is not as extensive as the preparation to become a licensed practical nurse or registered nurse, so you will be prepared to begin practice in as little as three weeks. 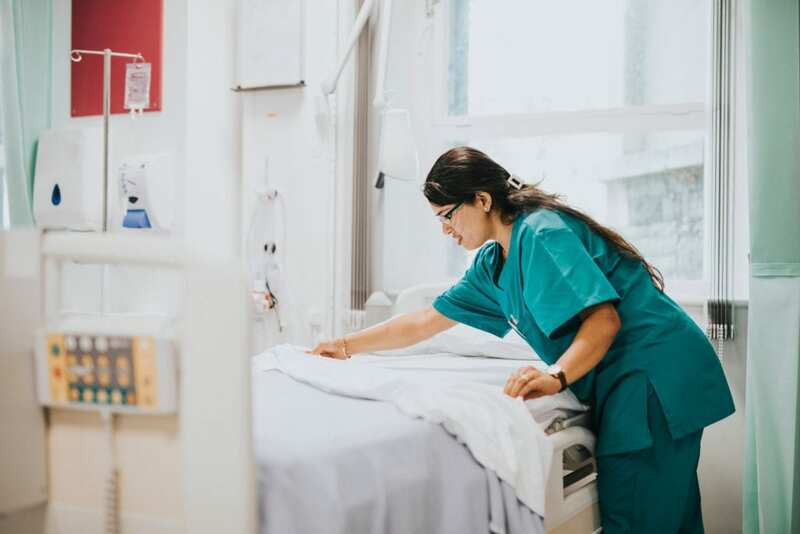 At the program’s end, you must apply to take the Nurse Aide Competency Evaluation and successfully pass both the written and skills components to become a Certified Nursing Assistant. Your duties as a CNA in a long-term care setting will include observation of patients to pass on valuable information to nurses and physicians, bathing and dressing patients, transferring patients from the bed to a wheelchair, making beds and keeping rooms tidy, assisting with rehabilitative treatments, measuring and recording vital signs, and collaborating with the rest of the health care team to improve patient outcomes. The nursing assistant program at ASU Mid-South prepares adults for employment in a nursing home, hospital, patient hone or other facility. Students will learn how to assist patients with the activities of daily living and monitor their health and well-being. The curriculum will include theory and clinical instruction in a skilled nursing facility. It requires completion of 74 hours of theory in the classroom and lab and 16 hours of clinical experience. Areas of study include communication skills, infection prevention and control, basic restorative services, residents’ rights, personal hygiene, safety and emergency procedures, and nutrition and feeding. During the final weeks of the program, students will apply the skills learned on campus in a skilled nursing facility under the direction of a licensed nurse instructor. The program requires completion of 7 to 8 credit hours. Graduates will receive a Certificate of Proficiency and will be eligible to apply to take the Nurse Aide Certification Exam. They will have the competency to care for patients in long-term and acute care settings, take and follow directions given by physicians and licensed nurse supervisors, practice within the guidelines for nursing assistants, provide safe, quality, and patient-centered care, collaborate with the interdisciplinary team, demonstrate ethical behaviors and professionalism in practice, and pass the written and skills components of the certification exam. The Certificate of Proficiency in Nursing will include 7 to 8 credit hours and will cost approximately $801 to $914 for residents. The cost includes tuition and program fees. Additional costs include textbooks, uniforms, watch, shoes, stethoscope, gait belt, and other supplies. The certified nursing assistant program at UAMS Schmieding exceeds the state’s 90-hour requirement for CNA training. Students will complete 116 hours of instruction including 16 hours for Alzheimer’s Disease and Dementia care. A fast-track course is available for students who want to prepare for the state exam. The program’s duration is 22 days based on the schedule. It will include classroom lectures, hands-on teaching labs, and supervised patient care experiences. Videos, assignments, and small class sizes (the instructor to student ratio is 1:6) help UAMS to maintain a pass rate of 90 percent and higher. Graduates will be eligible to sit for the state Nurse Aide Exam, prepared to work in a long-term or home care agency, practice responsibly demonstrating ethical and professional behaviors, and continue their education for a career a nursing. Use the contact information below for a current schedule of classes. The RSB Nursing Assistant Training Program helps students become competent, professional nursing assistants. They will be prepared to take the state evaluation in just 2.5 weeks. Instruction will include classroom lectures, lab student, and direct patient care experiences in a skilled nursing facility. Students must attend all 90 hours of the theory and practical work to obtain a Certificate of Completion. Areas of study include basic nursing skills, role and responsibilities of the nurse aide, vital signs, medical terminology, infection prevention and control, safety and emergency procedures, communication skills, observation and reporting, personal care, basic restorative services, and hospice care. Students will have the opportunity to put the theory into practice as they work alongside other students and professionals under the supervision of a licensed nurse instructor in an approved health care facility. The program is primarily offered in the daytime only. An evening schedule may be available on a need-only basis. The classes meet Monday through Friday from 7:00 am to 3:00 pm for 12 days. The evening class meets Monday through Thursday from 5:00 pm to 9:00 pm and on Saturday from 7:00 am to 3:00 pm for four weeks. Tuition for the program is $480. Full payment or proof of sponsorship must be presented on the first day of class. Northeast Arkansas Career and Technical Center prepares students for state certification as a Certified Nursing Assistant through its Medical Procedures program. The training will include instruction in the classroom, skills lab, and clinical rotations in a medical facility. The training for CNAs will be in accordance with the guidelines detailed by the Arkansas Office of Long Term Care. Graduates will be eligible to apply to sit for the Nurse Aide Evaluation for state licensure. Students will be eligible for graduation after completing a minimum of 7 credit hours. Areas of study include anatomy and physiology, medical terminology, basic nursing skills, vital signs, infection control, communication skills, observation and reporting, personal care, role and responsibilities of the nurse aide, patients’ rights and independence, law and ethics, and basic restorative services. The Nursing Assistant Certificate program at Arkansas State University combines classroom instruction and clinical practice to prepare students for success on the Nurse Aide Evaluation. Throughout the program there will be a strong emphasis on the development of technical skills, workplace ethics, and professionalism. Students will learn how to function as an active member of the healthcare community and work with patients for the achievement of positive patient outcomes. Course topics include anatomy and physiology, medical terminology, basic nursing skills, vital signs, infection control, communication skills, observation and reporting, personal care, role and responsibilities of the nurse aide, patients’ rights and independence, law and ethics, and basic restorative services. Graduates are typically offered employment at affiliate partners such as White River Medical Center, St. Bernard’s Medical Center, and NEA Baptist Medical Center. They will be eligible for employment after passing the Written and Skills components of the Nurse Aide Evaluation. The duration of the program is 4 to 5 weeks depending on the schedule. It is offered in the Fall, Spring, and Summer semesters. The program cost is $1,072 and includes shoes, uniform, testing fees, and watch with a second hand. It does not include the cost of textbooks. The program is not eligible for financial aid.